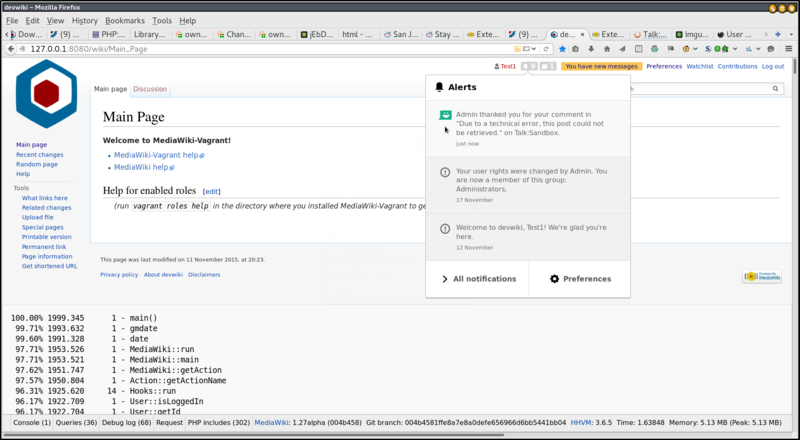 Simply put <script>alert(1)</script> in a topic title. Jdforrester-WMF added projects: Security-Extensions, MW-1.27-release (WMF-deploy-2015-12-08_(1.27.0-wmf.8)), Patch-For-Review. I audited the other callers of Linker::formatLinksInComment() (CentralAuth and LQT) and they both call the Sanitizer first properly. I'll leave it to either @Catrope or @csteipp to mark this as resolved. The issue is resolved, so I'm going to close this. SBisson, if there are ways I can support the Collab team's QA process to make sure we don't have this happen again, let me know. Let's make that a followup phab task, if there's anything we can identify. 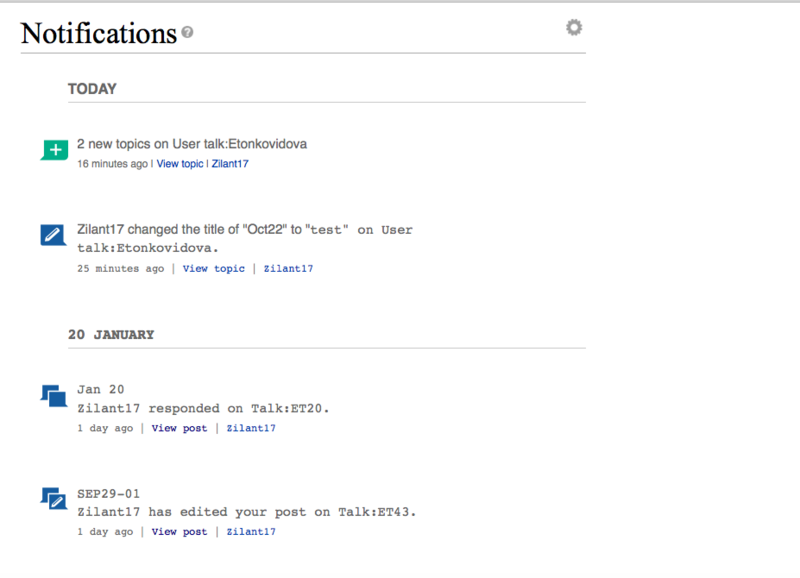 Checked in betalabs - title, reply, board description, summary look fine. It's a good question. @Etonkovidova, our QA, might have some ideas. Please review the following - any suggestions(follow-up bugs/more testing) are welcomed. 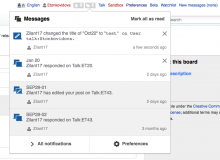 Red links for templates and <code> text displayed on Notifications page and in Echo. This comment was removed by Etonkovidova. Thanks for testing. 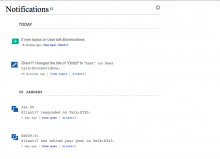 The *only* markup topic titles support are internal links ([[Earth]]) and media links ([[Media:Saturn.jpg]]). 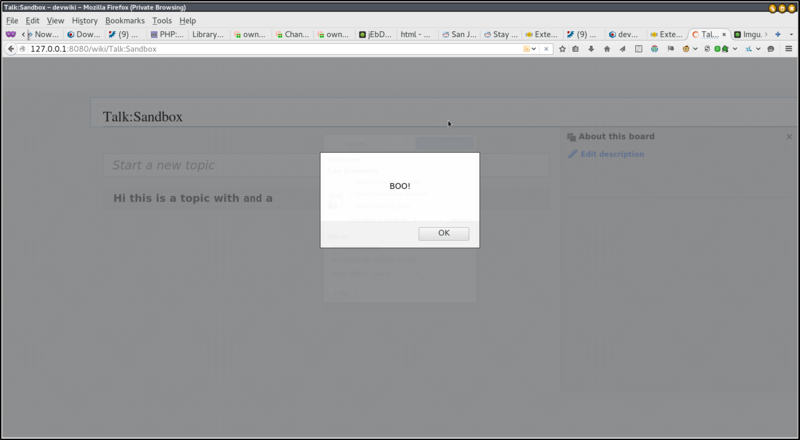 That means all cells of that table should be plain text. The red links for templates is only because the template didn't exist. If it did, it would render, which is also wrong (templates are not supported). 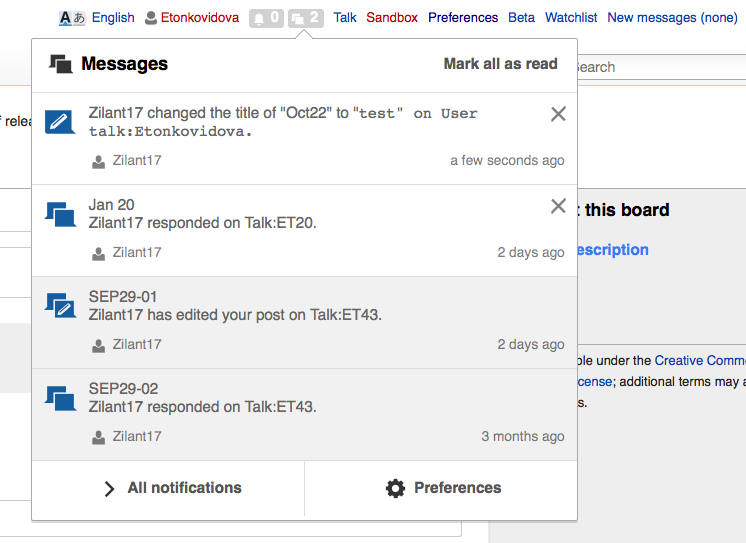 Some of this is T120291: wikitext in flow titles is parsed (HTML tags like <tt> and templates) on echo notifications. • Mattflaschen-WMF moved this task from Product Review to In Development on the Collaboration-Team-Archive-2015-2016 board. 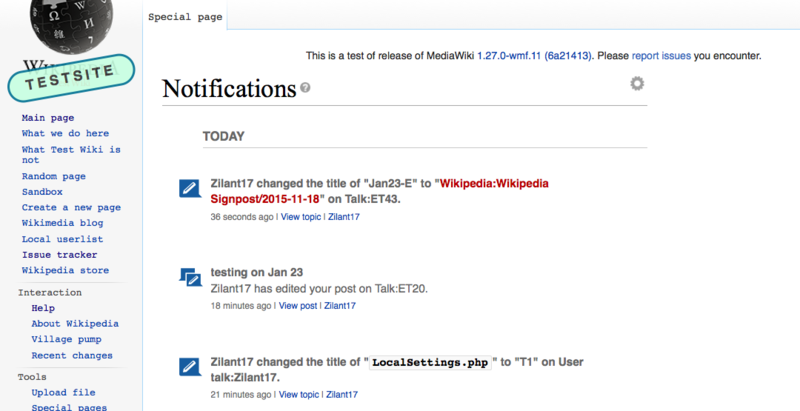 • Mattflaschen-WMF added a subtask: T120291: wikitext in flow titles is parsed (HTML tags like <tt> and templates) on echo notifications. @Mattflaschen To clarify, did you re-open due to further security issues, or do you just have related concerns with title handling that do not have security implications. If its for follow-up things that aren't security, could that be done in a separate bug? I don't think any of the remaining parts are strictly security. 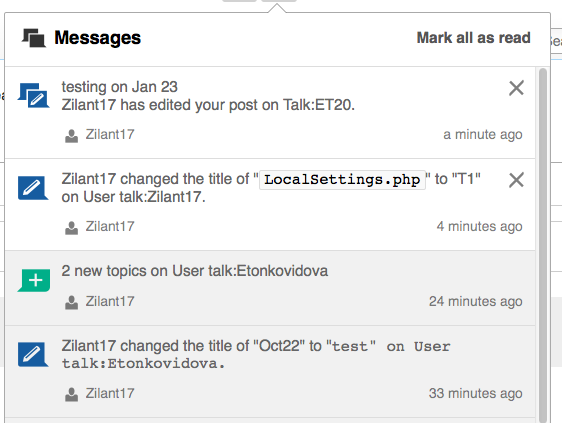 I'll use T120291: wikitext in flow titles is parsed (HTML tags like <tt> and templates) on echo notifications and file a new bug if I find Flow itself displaying it wrong anywhere.